At Me & My Pets, there's nothing we love more than caring for animals and that includes making sure they are happy, healthy, well-loved and comfortable too! 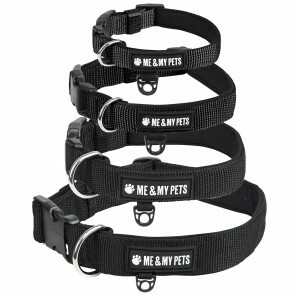 Our great range of dog collars come in a range of sizes so you can make sure you get the right size for your dog and there's a range of styles and materials too. 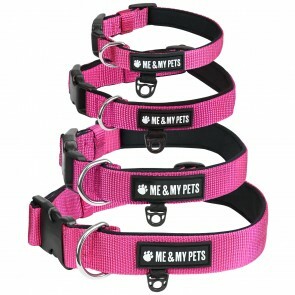 Choose from quality, soft leather collars and all singing all dancing Neoprene which is breathable, quick-dry and durable.